Denise received her RDA in Fremont in 1980 and has worked in the dental field since then. Denise joined Dr. Mckim’s team in 2007. She has experience in all aspects of the dental office. From the back office as an RDA to the front office working with patients and their treatment. She can help you with maximizing your insurance as well as helping you with a financial plan and answering any questions you may have. Kathleen grew up in South Florida where her father(a dentist) encouraged her to get a Bachelor of Science degree in Dental Hygiene. She had to leave Florida to do this. She attended West Virginia University and earned her BS in Dental Hygiene in 1983. Reading in a Dental Hygiene journal that Switzerland was importing Dental Hygienists she set her sights on going abroad. 28 yrs later she returned to the USA with a husband and 2 boys. Settling in the area she was anxious to get to work and see how dentistry had progressed here in the States. Karen is a Bay Are native and grew up in Pleasanton. She has been a patient of Dr. McKim’s since a child and is now both an employee and patient. Karen received her bachelor’s degree at San Francisco State University and her AA degree in Dental Hygiene from Diablo Valley College. As a Hygienist she likes teaching patients about proper oral care. Karen enjoys helping people in the underserved community and is a regular volunteer at the Berkeley Free Clinic and CDA cares events. When not in the office she enjoys spending time outdoors hiking, running and snowboarding with her husband and son. Tracy received her Bachelor of Science degree in Dental Hygiene from the University of the Pacific Arthur A. Dugoni School of Dentistry. Tracy, who got her first job working in a dental office at the age of sixteen, quickly gained a passion for dentistry. Throughout her years of service Tracy has found that her number one priority is the comfort of all those who sit in her chair. She truly enjoys helping people improve their smile by educating them on the importance of good oral health. As a native to the Tri-Valley Tracy loves all that the Bay Area brings. When not working, she enjoys spending time with her family and taking mini-vacations. 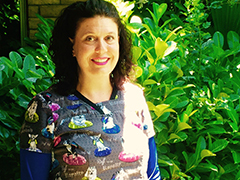 Tami received her dental education at Chabot College in Hayward, where she earned her RDA and CDA Dental License in 1992. Tami brings over two decades of dental experience to the office, and has spent many years working side by side assisting Dr. McKim. Her passion for dentistry is driven by her love of people, comforting and educating them in the dental chair. Tami lives in Tracy with her husband, two sons, two dogs, a cat and a tortoise. She is very active in her church and community. She enjoys watching her son’s sports games, the outdoors, fishing and camping, boating and just spending time with family. 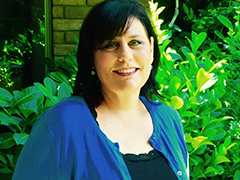 Through the years, Tami continues to educate herself by taking night classes at Chabot, Los Positas and Delta College to earn her AA degree in Dental Hygiene in the future. Martha has over 25 years of experience in the dental field. During her senior year of high school she attended a vocational school where she earned her dental assistant degree. Since then she has obtained several other certificates and licenses advancing her knowledge in the field of dentistry including her registered dental assistant license and her certificate for sealants. Martha has been working with Dr. McKim since 2015. Her professionalism and commitment is noticeably reflected in her positive attitude and delivery of care. Martha is bilingual in both English and Spanish and enjoys spending time with her family and friends.